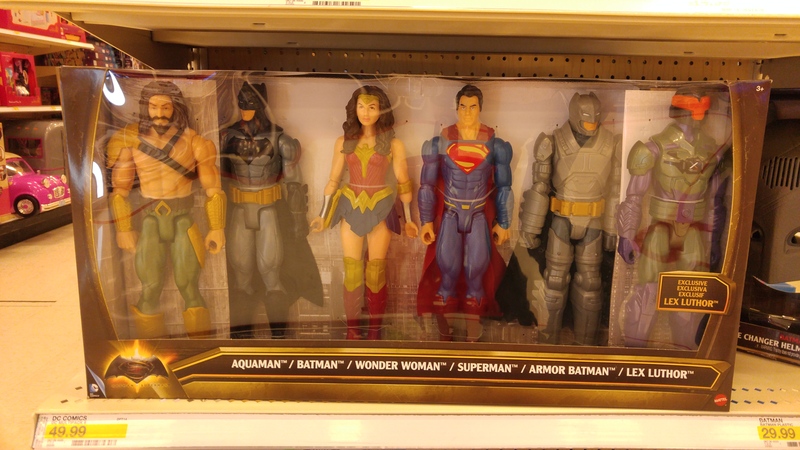 Here’s the first set of Batman v. Superman: Dawn of Justice action figures I’ve run across. They made some interesting choices. 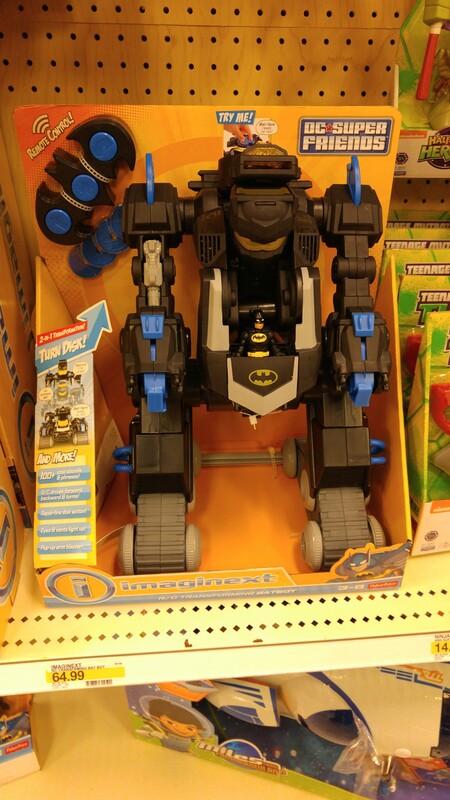 Plus, you won’t believe this remote control Batman mechwarrior. First, you’ll notice that this Dawn of Justice action figure set doubled up on the Batman figure – or, if you prefer, Batmen. I can see that – maybe they figure kids will want to act out the movie; makes sense. I assume they didn’t include Doomsday (or whatever they’re calling the monster) because he’s too scary looking, but I can’t imagine Jesse Eisenberg is going to put on the super Lex Luthor suit, so… I dunno. TOYS! This… I have no idea what this supposed to be. This remote control Batman mechwarrior is from DC’s kid friendly DC Super Friends (IE, not flying the Justice League flag), but it just seems kinda, “I fire discs and reign hellfire upon my enemies!” which doesn’t seem like the right thing for a 3 year old. I can’t imagine mech is on any collector’s list, so… I dunno. at $65, I’m not sure who this is for. How will WB react to Batman v Superman?